The library will feature two holiday-themed story times in the afternoon, suitable for all ages. The Children’s Librarian will read 2-3 books pertaining to the holiday and then there will be a food or cooking related craft and game. The second week of December we will read and then make and eat potato latkes and play dreidel games and learn the dreidel song. The third week of December, we will read and then decorate gingerbread boys and girls and sing a few Christmas carols with some interactive puppets. To celebrate the birthday of Civil Rights leader and activist Martin Luther King, Jr. and to look forward to February’s Black History Month, the library will feature a special story time with Awele Makebe. This story time is appropriate for all ages and will be held in the afternoon. An on-going project will place pictures and children’s writing on the library wall to learn and explore African-American history throughout the months of January and February. Jazz is a uniquely American art form, with many of its most famous historical figures coming from the African-American community. Jazz musicians and educators will join us for a special afternoon to explore the art, music and history of jazz. This event will be best for school-age kids and teens. Co-sponsored by jazz radio station KCSM and SF Jazz Education. Illustration courtesy of Don Tate. In New Zealand, February 2nd is celebrated as Waitangi Day—a special holiday honoring and remembering a treaty signed between British settlers and the native Maori. 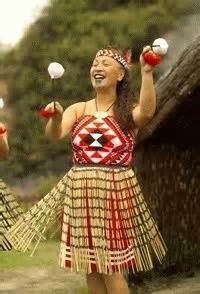 The library will host Maori Mo Ake Tonu to share traditional Maori dance, songs and culture with us. This performance is suitable for all ages and will be held in the afternoon on or close to February 2nd, but not on a weekend. Ring in the Chinese New Year with a loud and lively celebration performance with Leung’s White Crane Dragon and Lion Dance Troupe. This event will be loud, but suitable for all ages, so long as little ones aren’t afraid of the noise. Special coloring sheets and red Chinese New Year envelopes will be part of a craft after the event.